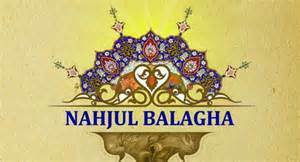 SHAFAQNA – Imam Ali (AS) said: Remembering the Day of Judgement closes their eyes to everything, and fear of resurrection flow their tears, some of them have been excluded from the society and live on their own. And some others are fearful and have been oppressed, or have chosen to be silent. Some others still invite people to God sincerely, and some others are tearful and sad because their self-denial has separated them from people, and their inability has spread throughout their existence as if they have sunk in the sea of salt. Their mouths are closed, and their hearts are wounded, they have advised others so much that they are tired. They have been oppressed so much that they feel unable, and they have been slaughtered so many times that their number is very low . https://en.shafaqna.com/wp-content/uploads/2019/03/nah-1.jpg 162 300 hamrang https://en.shafaqna.com/wp-content/uploads/2018/10/new-logo-s-en-fine.png hamrang2019-04-17 10:51:512019-04-17 10:51:51What is the status of pious people in hypocritical societies?